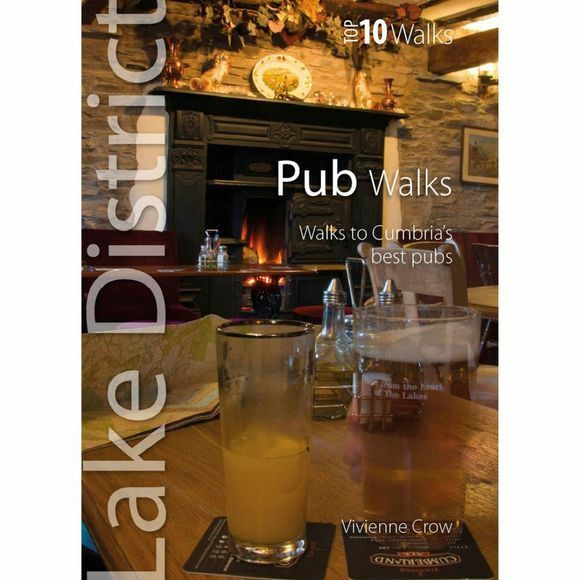 This attractive and cleverly structured guide gives walkers ten of the finest walks to Lakeland pubs in a popular pocketable format with clear information, Ordnance Survey maps, and eye-grabbing panoramic photographs. It is part of the Top 10 Walks series for the Lake District. Featured pubs include: The Sun, Coniston; Queen's Head, Hawkshead, Three Shires Inn, Little Langdale; The Mortal Man, Troutbeck; Old Dungeon Ghyll Hotel, Great Langdale; Tweedies Bar, Grasmere; The Strands Inn, Nether Wasdale; Kirkstile Inn, Loweswater, Middle Ruddings Inn, Braithwaite and Dog and Gun, Keswick.